My affiliate links are used below. Here’s my full disclosure policy. 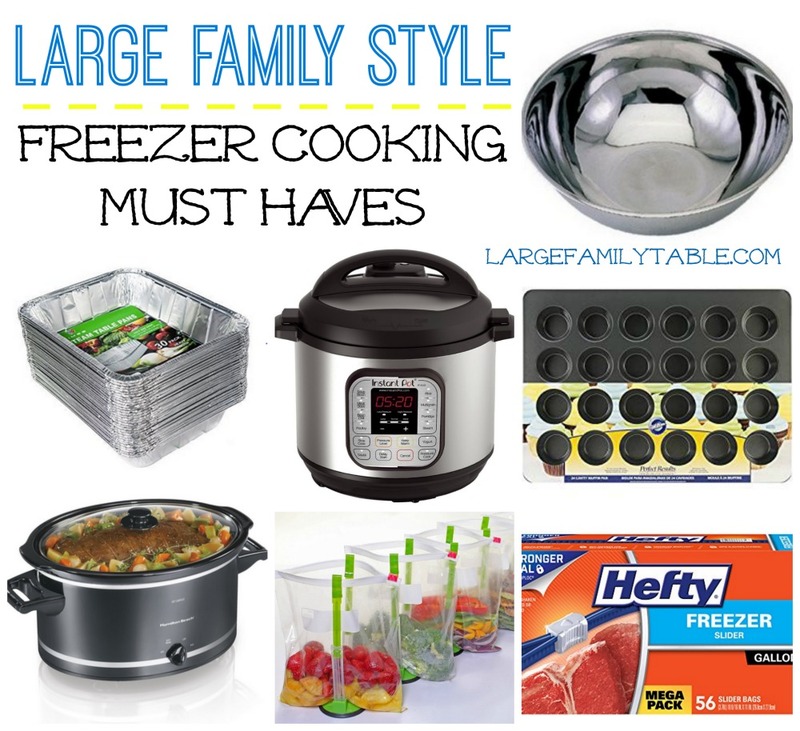 I’ve created a full list of my favorite large family freezer meal supplies here! Set out 4 to 5 9×13 baking pans. Combined 5 lbs shredded chicken, 4 cups cooked rice, 4 cups cooked pinto beans, 1 cup green onion, 6 cups shredded cheese, and two 28 oz cans of enchilada sauce in a large container and mix thoroughly. Fill each enchilada wrap with chicken mixture and roll tight. Layer each filled wrap in 9×13 baking pan. You should get 10-12 enchiladas per pan. Pour approximately 1/2 a 28 oz can (14 oz) over the Chicken Enchilada meal. Top with 1 cup of shredded cheese. Wrap each 9×13 pan with two layers of foil. Label the top of each pan with recipe name and date. Wrap each 9×13 pan with a layer of plastic wrap. Set each pan to freeze in the freezer. Do not stack the pans on top of one another until each pan is individually frozen. Set the desired pans of Chicken Enchiladas out in the refrigerator the evening before you’d like to serve. Preheat your oven to 350 (oven times may vary). Remove plastic wrap and one layer of foil. Place Chicken Enchiladas in preheated oven for 30 minutes or until bubbly and hot. Remove the last layer of foil and allow to cook for 10 additional minutes. Allow your hot Chicken Enchiladas to slightly cool on counter for 5 minutes or so before serving. 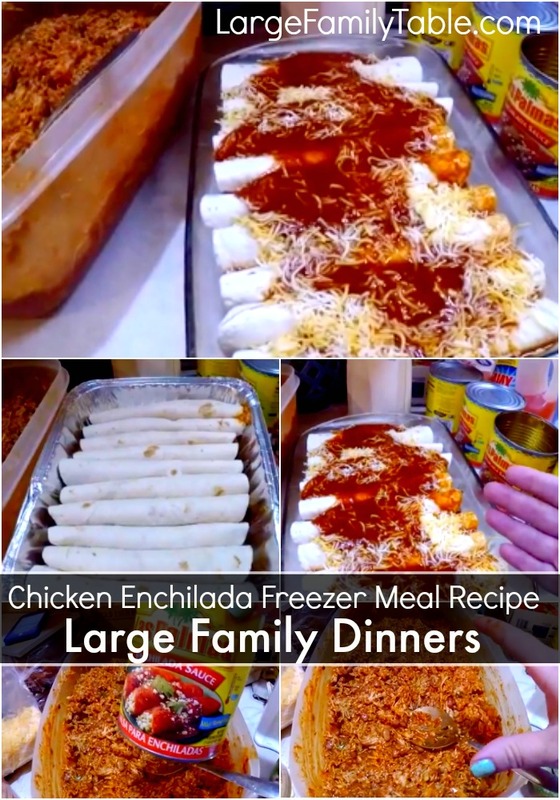 If cooking your Chicken Enchiladas from completely frozen (this happens in real life :), remove plastic wrap and one layer of foil and place frozen Chicken Enchiladas in preheated oven at 400 (oven temps may vary). Cook for up to 2 hours or until hot and bubbly. Remove last layer of foil and cook uncovered an additional 10 minutes as needed. Let me know how this freezer meal recipe works out for you. I’d love to hear what you’re making! Family Meal Planner Collection | Weekly, Bi-Weekly, & Monthly Meal Planners + More! 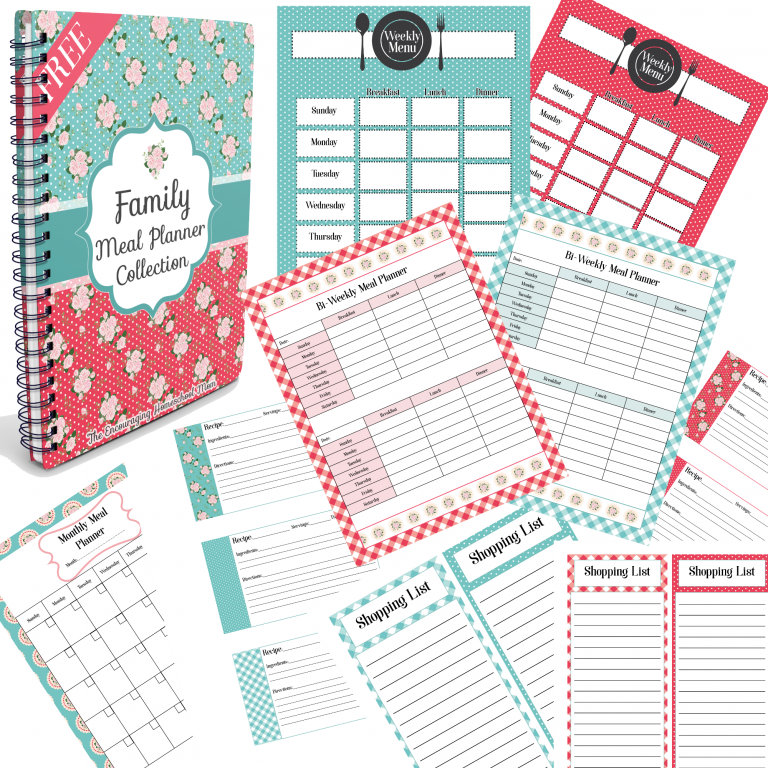 Help meal time go smoothly at your house with the free family meal planner collection! Enjoy this set of beautiful weekly, bi-weekly, and monthly meal planners. Also included are bonus grocery shopping lists and helpful recipe cards. 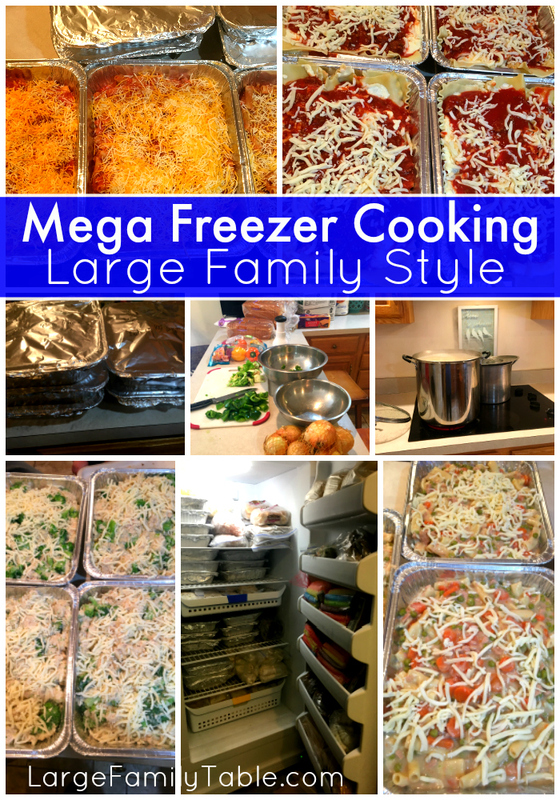 Don’t miss Mega Freezer Cooking – Large Family Style!